Twenty-five years have passed since the band of heroes destroyed Dracula at his castle in Transylvania. Since then, Jonathan and Mina Harker have raised their son Quincey into a fine, if at times naïve, young man, even while their once happy marriage disintegrated. Dr Seward, the brilliant physician, is plagued by drug abuse and mania. Arthur Holmwood, the brave and dashing fiancé to Lucy, is now full of anger and regret. And Van Helsing, leader of the brave band, is a sickly old man. When Quincey leaves law school to pursue his dream of acting, he stumbles upon a troubled production of the play Dracula. This play, with its oddly familiar characters and directed by one Bram Stoker, plunges the young man into the world of his parents’ terrible secrets, but before her can confront them he meets evil that rocks him to his core. 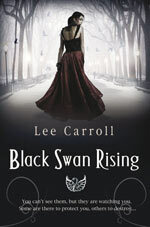 One by one, the band of heroes that defeated Dracula is being hunted down. Could it be that Dracula somehow survived and is seeking revenge all these years later? Or, is another, far more sinister villain at work who will put anyone associated with Dracula, including Quincey in grave danger. 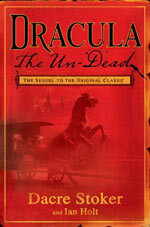 As something of a Dracula “purist”, Dracula The Un-dead was not the novel I expected it to be. Bram Stoker’s original novel was written in epistolary style, with the entire story told through letters and diary entries, with multiple first person points of view. This style obviously has it limitations - especially when it comes to fleshing out realistic back-stories for the protagonists – but on the whole it is a major part of the original Dracula novel. The foreword of the original Dracula novel states: “How these papers have been placed in sequence will be made manifest in the reading of them. All needless matters have been eliminated, so that a history almost at variance with the possibilities of later-day belief may stand forth as simple fact. There is throughout no statement of past things wherein memory may err, for all the records chosen are exactly contemporary, given from the standpoints and within the range of knowledge of those who made them.” A later edition of the book has a foreword that further claims the book is based on real life events. Once again encouraging the reader to believe that the story of Dracula could actually be based on fact - rather than a work of fiction. The expectation of Dracula The Un-dead as the “official” sequel to Dracula is that it will continue from where’s Bram’s classic novel left off, building on the “facts” of his original story. This is where Dracula The Un-dead takes a turn for the unexpected. The original Dracula story is moved back in time to 1888, to suit a Jack-The-Ripper-was-a-vampire plotline and 25 years on from then, leaves you in 1912, which comes in handy for an appearance by the Titanic. This isn’t the first or last time that the authors play fast and loose with the time-line, settings or plot of the original Dracula tale to suit their own ends. Unlike Dracula it isn’t written in first person journal entries but is written in third person from multiple points of view, which frees up the constraints of the storytelling but loses its gothic novel feel along the way. The resulting novel has something of a screenplay feel to it and I can almost picture it on the big screen now. While the construction of Dracula The Un-dead may allow for fast paced action, racing from Paris to London and then Whitby with gruesome horrific murders to spice up the plotline along the way, the characterisation of the protagonists of this novel left a lot to be desired. Putting aside the sad fates that lay in wait for the once heroic protagonists of Dracula (Jack a broken down drug addict, Jonathan an alcoholic scared of female sexuality unless he pays for it, Mina a frustrated housewife, Arthur still bitter over his loss of Lucy and Van Helsing a demented old man) with the exception of Mina, none inspire any kind of empathy in the reader. Mina is a strong character both in mind and body and seems to be surrounded by weak, mewling men who are repulsed or disgusted by her strength and fortitude. As a female reader I found this to be a big turn off for the story. Now, you are probably thinking that Dracula The Un-dead is something of a washout but this couldn’t be further from the truth. As the “official” sequel to the original novel I didn’t like it. I was definitely expecting something different to what I got. However, as a horror novel based around the Dracula character the book is entertaining enough. Horror lurks on the fog shrouded street corners of London, seemingly stalking the story’s main protagonist Quincey Harker, son of Mina and Jonathan. As the body count rises, mystery and horror abound and that should be enough to satisfy the average horror reader. Dracula “purists” may despair but Dracula fans should enjoy this exciting addition to the Dracula myth. As the official sequel to Dracula I’d rate Dracula The Un-dead at 2.5 stars. As a Dracula fan I’d rate it at 4 stars. Giving Dracula The Un-dead an average of 3.5 stars out of five.